Five years ago, Team FridgeBot was started in a barn with just a couple team members. In 2016 ten students were able to attend the FIRST Worlds competition in Saint Louis Missouri. This year we are going once again but it will take a lot of hard work on the part of the team and many generous donation from people like YOU. 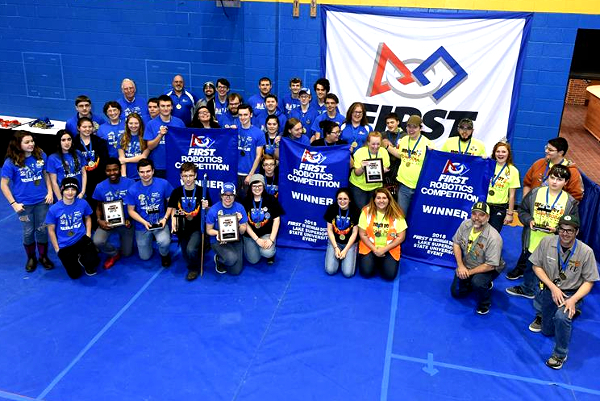 We are so grateful for your loving support over the years and we want you to be just as proud of us this year as we build and compete in the exciting world of robotics. 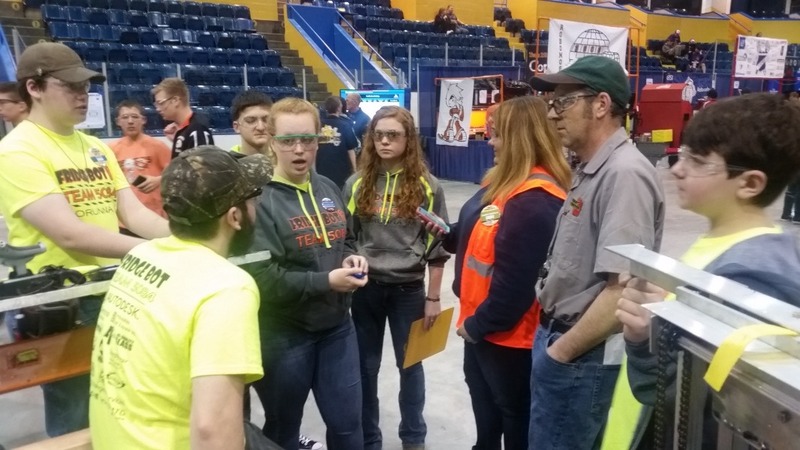 To our team, FIRST robotics is more than just robots. It is learning to build as a team. It is learning what it means to work hard and create. It is also experiencing how to interact in the workplace with presentation skills, real world building, and engineering documentation. 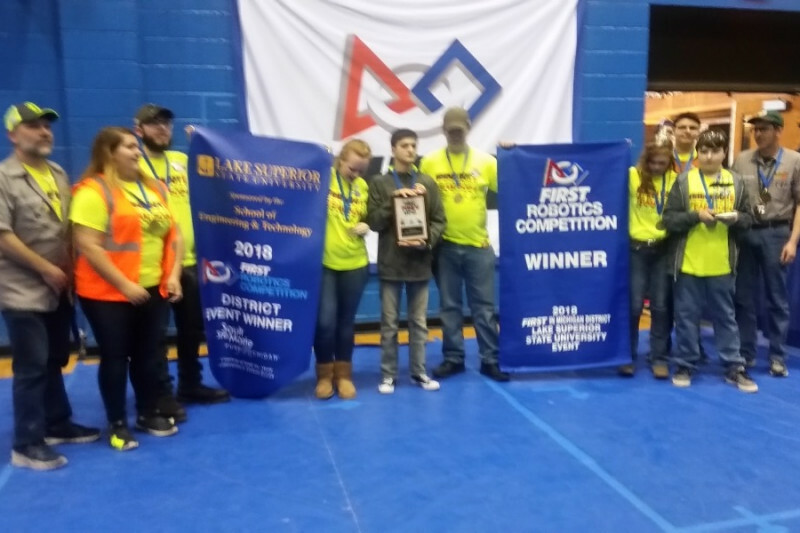 Team FridgeBot WON the LSSU District event. This past weekend the team traveled to the Upper Peninsula to very snowy and cold Sault Ste Marie, home of Lake Superior State University. They had a great time competing with teams from around the state and brought home the gold medal. They also met some fabulous teams including our alliance partners "The Deceivers" Team 4392 and "The Great Lakers" Team 5878. (Fun side note, The Great Lakers team is from Mackinaw Island and they had to transport the robot by boat to get it to the event.) In the finals rounds 4392 was very quick to get the scale and 5878 was dead on reliable at the vault. 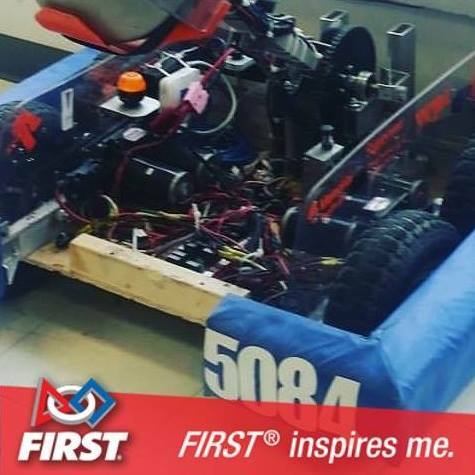 Of course the autonomous mode of team #FridgeBot created by Danny Brichan got us the switch in every match. We are now going to States and feel we have an excellent chance at Worlds so we are looking at around $9,000.00 in expenses not including travel and lodging. We are asking for your assistance in sending the team on to these very huge events. Check out www.FridgeBotFoundation.org for more information. We are finishing the little changes to the robot and loading up later this week to head to the frosty north and the sleepy little tourist town of Sault Saint Marie! Look out Lake Superior State University, Team FridgeBot is headed your way! We have a plan and we look forward to the fun and friendship as well as robots competing in the arena of FIRST Power UP!! Make sure to watch #FridgeBot #frcmilsu online this Friday and Saturday April 6th and 7th take on teams from around Michigan. This is 2018 and is a very great year for Team FridgeBot!! We are sitting in a great position and next weekend will determine if we go to States this year or not. We will have very little time to raise the funds needed to go to States so we need your help! Thanks so much and feel free to stop by the Corunna Robotics Center and see what we do. Build season is almost over and we are very excited about our prospects of going to States and to Worlds! We will be attending a practice event over the weekend and have a full day build session scheduled for Monday to work out the bugs we find on Sunday. Of course we are looking down the barrel of another $9000 in registration fees that we do not have in our bank account yet. We will accept anything as a donation and can turn almost anything into money, so contact us if you have ideas or something to donate.